Tasting Hawai'i With Moloka'i Chef James Temple: Light My Flame! 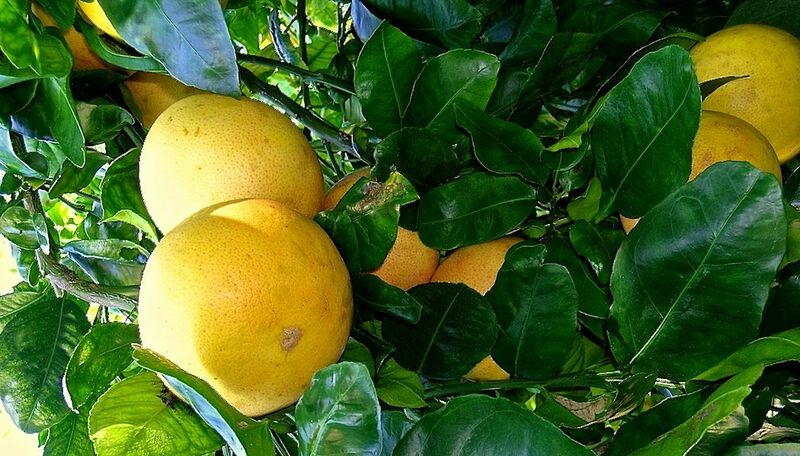 I'm always looking for new ways to serve this beautiful citrus. 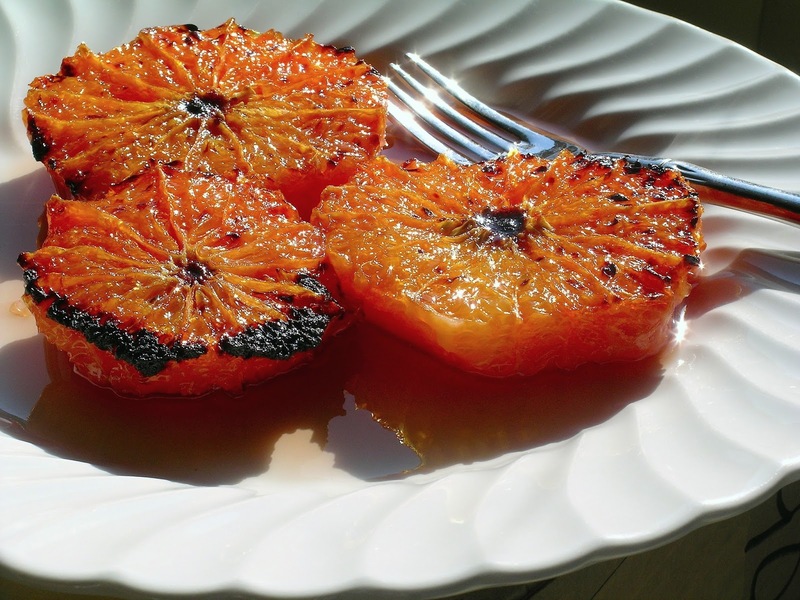 In this simple recipe, brown sugar is caramelized (brûlée is French for burn, as in crème brûlée) into rounds of pink grapefruit slices, and then drizzled with a sweet pomegranate liqueur for an elegant, and tasty finish to almost any meal. Position oven rack about 5 inches from broiler: preheat oven broiler on high. Cut the rind and pith off each grapefruit with a sharp knife. Cut each fruit into rounds, about 1/2 inch thick. Place rounds on a foil lined baking sheet. Sprinkle each round with 1 tablespoon of brown sugar. Broil under high heat for about 8 to 10 minutes, watching as to brown but not burn sugar. Serve warm, topped with pomegranate liqueur or honey. Note: I like to serve a little PAMA pomegranate liqueur on the side for sipping.